Music industry group the BPI has threatened legal action against six members of the UK Pirate Party, after the party refused to take its Pirate Bay proxy offline. BPI seems to want to hold the individual members of the party responsible for copyright infringements that may occurs via the proxy, which puts them at risk of personal bankruptcy. 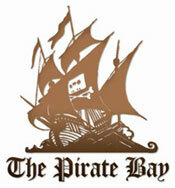 Pirate Party leader Loz Kaye criticized the latest music industry threats and reiterated that blocking The Pirate Bay is a disproportionate measure. After an expensive legal battle a group of music labels achieved their aim of having The Pirate Bay website blocked in the UK. With the official site blocked, millions of users switched over to proxy services, and the proxy of the UK Pirate Party soon became one of the most visited websites in the region. These proxies are a thorn in the side of the music industry, and earlier this month the BPI asked the UK Pirate Party to take its website offline. The Pirate Party refused to do so, and in a response the BPI’s boss said that the Pirate Party would hear from their lawyers. The BPI kept its word, but with a twist. “We had been anticipating legal action ever since I received an email from Geoff Taylor of the BPI. What has taken me aback is that this threat is personally directed. I simply can not see what the music industry think can be positively gained by threatening to bankrupt me and other party officers,” Kaye says. Making the site’s members personally liable is the ultimate pressure, as they then have all their personal belongings – including their family homes – on the line. Kaye is disappointed with the BPI’s move, not least because the music industry group refused to negotiate the issue. TorrentFreak asked Kaye about the precise nature of the legal threats and whether any cases have been filed yet, but he said that he’s not able to add more to the statements above. Previously, Kay told us that he would stand by his principles, even if that means going to court. “It is clear that we are facing a significant threat, and we will have to fight it. And fight it well, not just for the sake of the Pirate Party, but because of the principles at stake. I have always believed that it is not just enough to have principles, you need to act on them too, even if it gets difficult,” Kaye told us last weekend. The problem with fighting the BPI in court is that it’s a costly endeavor. The Pirate Party is currently running a fund-raiser so it can afford to fight back, but if the case drags on the money is bound to dry up at some point. Update: BPI’s Adam Liversage told TorrentFreak that they had no other option than to go after individual members as the Pirate Party is not a “legal personality.” No direct threats were made to bankrupt any of the members. Liversage further said that BPI first tried to resolve the matter amicably for a number of weeks. However, Pirate Party UK continued to make clear that they had no intention of removing the proxy. c There are 326 comments. Add yours?